He was the little boy on Taft Street in a desperate way. But Walsh persevered. Boston mayoral candidate Martin J. Walsh grew up on Taft Street in Dorchester in a three-decker building with a narrow concrete alleyway. When the gay couple, both hairdressers, heard that the 7-year-old boy living downstairs had been stricken with cancer, they cut off a lock of his red hair and brought it to a friend, who made a wig that was a perfect match. When the boy would fall asleep in math class because the chemotherapy had made him so weak, the nuns would instruct his classmates to keep doing problems on the board, not to point and stare. The older boys at the playground would defend him if anyone tried to subject him to the kind of teasing that was a neighborhood rite of passage. Knock it off, they’d say. He’s had it tough. Martin J. Walsh’s Dorchester neighborhood — filled with Irish immigrants, police officers, firefighters, and construction workers — nurtured and protected him as he hovered on the edge of death and formed his earliest and deepest sense of community. That neighborhood, Savin Hill, remains his home and a touchstone for Walsh, as he seeks to be the next mayor of Boston. Before busing and gentrification ripped apart the neighborhood, Walsh, 46, grew up in a Dorchester where families with 12 children were not uncommon, doors were unlocked, and the streets teemed with boys and girls playing kick-the-can and hide-and-seek. 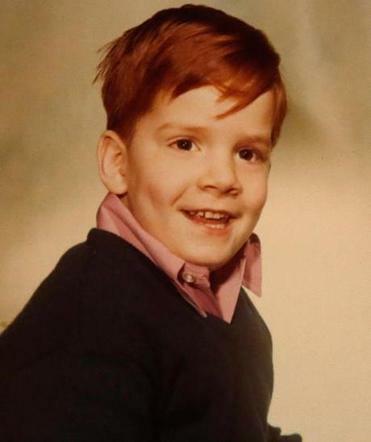 But within that cloistered corner in the shadow of St. Margaret Church, young Marty Walsh was different. After four years of chemotherapy forced him to miss most of second and third grade and to repeat the fifth, his recovery from Burkitt’s lymphoma was considered by many evidence of divine intervention. Martin J. Walsh was diagnosed with lymphoma at age 7. In some ways, Walsh’s family was like many others in the neighborhood. His parents, Mary and John, immigrated from Galway, Ireland, in the 1950s. She was a homemaker, he was a laborer, the trade his son would join decades later. Dinner was on the table at 5 o’clock sharp, seven days a week, and Martin and his younger brother, John, were expected to be there. Most of Walsh’s free time was spent at the Little House, the community center where he took woodworking classes and played Wiffle ball, or at St. Margaret, where Walsh, a chubby boy with a bowl cut, danced the jitterbug in parish-sponsored musicals. Beyond the steady rhythms of Walsh’s life, the neighborhood was changing. Families began fleeing to Quincy and Weymouth when the busing controversy erupted in 1974, the same year Walsh received his diagnosis. His teacher at St. Margaret School, Sister Theresa Joseph, recalls ushering Walsh’s class off the playground and into the church when buses carrying children from Roxbury would roll past on their way to South Boston. Police cruisers, sirens wailing, would block off the intersection outside the church to protect the buses, terrifying Joseph’s students. When Walsh started feeling sick that October, a cousin thought he might have gotten food poisoning from a pizza. But Mary Walsh remembers how a doctor at Children’s Hospital, suspecting worse, whisked her oldest son into surgery and emerged with a grim face. Then the doctor took aside Martin’s father and told him the boy had six weeks to two months to live. Walsh began radiation treatments and chemotherapy. 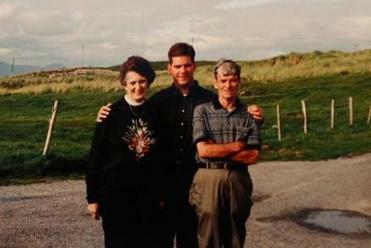 Mary Walsh and John Walsh, immigrants from Ireland in the 1950s, visited their homeland with their son Martin. She was a homemaker and he was a laborer. Walsh lived mostly at Children’s Hospital. He recalled subsisting largely on Starburst candy, a child’s act of rebellion against the steaming hospital food that arrived on plastic trays. 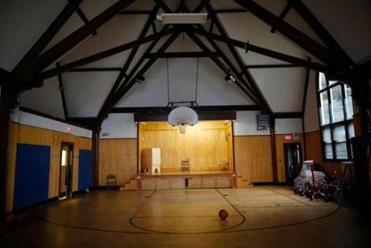 Three miles away in Dorchester, everyone had heard about the Walsh boy from Taft Street, the one with cancer. Nuns from St. Margaret School made pilgrimages to his bedside, leaving candles and Mass cards. The children at St. William Parish, a neighboring church, sent him get-well cards. Aunts, uncles, cousins, and neighbors came to say prayers. On Thanksgiving, Walsh’s family, which had been planning to celebrate the holiday at his bedside, got a small reprieve when doctors told them they could take Martin home for four hours. Walsh attended school sporadically, but Sister Joseph recalls him being so sapped of energy, he would fall asleep in her math class. The other boys would give him a nudge, she said. Some days, Walsh was so weak, the nuns would call his mother to come and take him home. One day, the two hairdressers who lived on the top floor of Walsh’s three-decker noticed that the child’s hair was falling out, and one of them offered to help. When Walsh was 17, he waged a campaign to save Saturday floor-hockey games at the Little House. Walsh’s memories of that time are snippets rather than full recollections — images from a young boy not fully aware of the gravity of his illness. He remembers not being allowed to play ice hockey or Little League, and being embarrassed to wear the wig in school. He remembers doctors pricking his arms with needles, and Bobby Orr stopping into his hospital room. In December, the priest at St. Margaret decided to move Walsh’s first Communion to the 11 a.m. Mass on Christmas Day. He and the family agreed they could not want to wait until May, when Walsh’s class would celebrate the sacrament. Walsh’s grandmother came from Ireland, and the neighborhood filled the church’s pews to watch Martin ascend the altar. Despite his illness, Walsh’s family tried to keep his boyhood as normal as possible. Walsh’s father and uncle Pat, who was the head of the laborers’ union, loved to jaw about campaigns around the house, giving him his first taste of politics. Walsh recalls his father taking him to a rally for Joseph Timilty in his 1975 race against Mayor Kevin H. White, and to a warehouse in South Boston, where he used an ink roller to print red-white-and-blue signs for Edward J. King when he defeated Governor Michael S. Dukakis in 1978. Slowly, Walsh’s health began to improve. He started gaining weight, and even playing sports. Doctors say that Burkitt’s lymphoma, while aggressive, often responds well to chemotherapy, and Walsh’s did. When he was 11 — four years after he was diagnosed with cancer — a scan revealed the full extent of his recovery. “The doctors were amazed, because there wasn’t a trace of cancer, or tumors, or anything,” Mary Walsh said. To mark Walsh’s recovery, the priest led a parish trip to Disneyworld, Joseph said, adding that she had heard that the priest’s sister had paid for the Walsh family. Mary Walsh took her son to the shrines at Knock in Ireland and Our Lady of Lourdes in France. As the months and years passed, Walsh’s identity was less and less tied to cancer. He grew into a teenager with a Mercury Grand Marquis and a steady girlfriend. Some of his friends didn’t even know he had been sick. One remembered him showing up at “the beams” — the local hangout underneath the old elevated Central Artery — where teenagers would drink beer and set Christmas trees on fire after the holiday. But Walsh was not considered an instigator of mischief. He attended Newman Prep, a private school in the Back Bay that cost about $1,000 a year. After school, friends recall Walsh driving them in the Marquis to watch Bruins games from cheap seats with obstructed views or to see movies in Somerville and Revere. It was about that time that Walsh started to hone what would later become his political instincts, as a coach in Catholic youth league sports. When he was 17, he waged what could be considered his first political campaign, a bid to save Saturday floor-hockey games at the Little House. The games, which had been a popular pastime at the community center for 20 years, had been canceled because of dwindling attendance. Walsh was so upset, he posted fliers and went door-to-door in the neighborhood, recruiting new players, said a friend, David Doyle. Walsh also began stepping into neighborhood disputes. When two 11-year-olds, one white and one black, began fighting at the Little House, Walsh took them to a Burger King. Even though the boys were famished, Doyle said, Walsh made them work out their differences before he would buy them Whoppers. As Walsh’s friends began planning to become firefighters and funeral home directors like their fathers, Walsh began talking of a different future for himself — in elected office. These days, no one is laughing. The friends, neighbors, and teachers who prayed for Walsh when he was struggling with cancer are holding signs and making phone calls for his mayoral campaign. While many candidates rely on relatives and friends, it is striking just how many of the loyal foot soldiers in Walsh’s operation have known him since he was a boy. 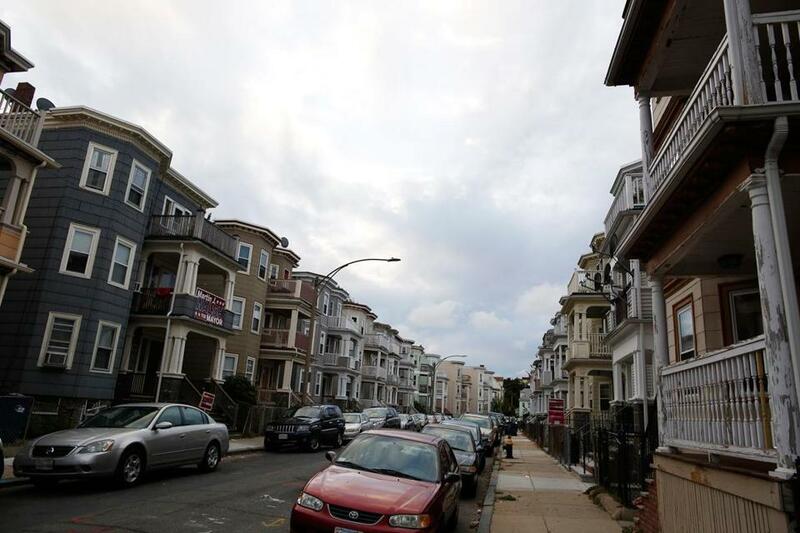 Many are proud that a candidate who came from the heart of Dorchester — a three decker on Taft Street with a narrow concrete alleyway — has a chance to lead the city. Michael Levenson can be reached at michael.levenson@globe.com. Follow him on Twitter@mlevenson.